Chalong Bay Rum is a truly original, handcrafted spirit that binds the traditional French art of distillation with the rich sugarcane heritage of Thailand. Situated on the southeast coast of Phuket, the distillery houses a traditional copper still imported from France that allows the centuries-old distillation process to be performed with passion and craftsmanship. 95% of rum production uses molasses, a by-product of sugar production. 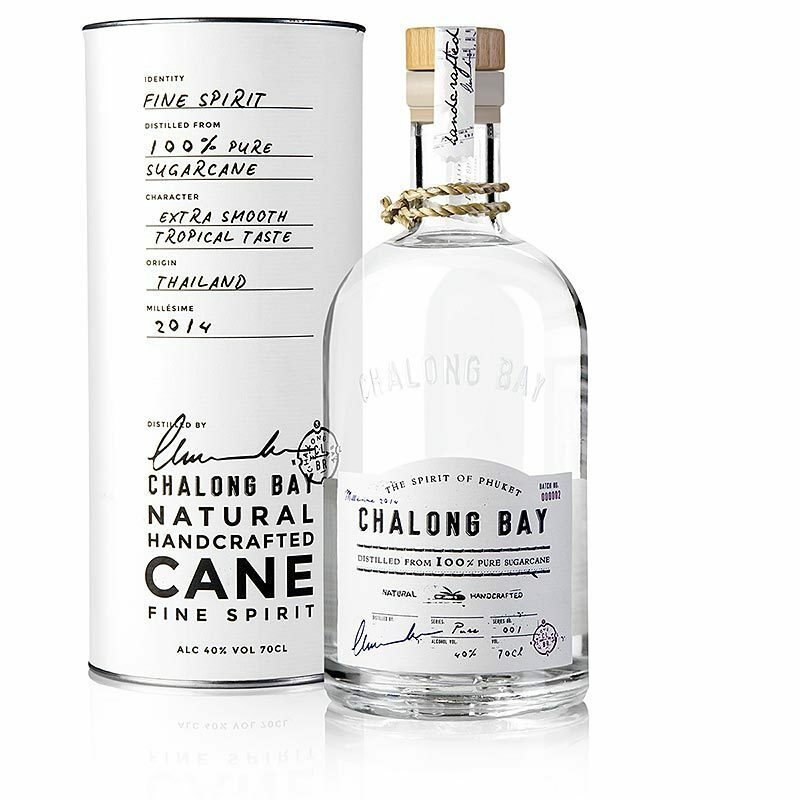 Chalong Bay uses 100% natural sugarcane juice (no by-products) in the production of this premium Rum, creating a purer product and allowing a higher level of floral/herbal aromas to be naturally instilled in the spirit. Every single bottle is filled, labelled and checked by hand, emphasising the exceptional quality that comes with a small-scale artisan approach. Chalong Bay Rum also boasts a collection of vapour infused rums, developed from 100% natural Thai ingredients. The exotic tastes and aromas can be experienced in the flavours of Lemongrass, Cinnamon, Thai Sweet Basil, Lime and Kaffir Lime. Thanks to Premium Taste, you can know buy Chalong Bay Rum from a range of major liquor retailers in Australia. We supply Chalong Bay Rum to retailers and bars/restaurants across the country and all purchases can be made online. For more information on our wholesale prices, delivery and liquor range, please contact our team directly.